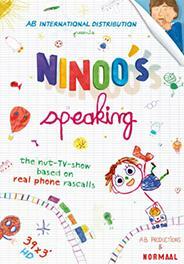 When Ninoo, cheeky and spontaneous as a 4 year-old child, picks up the phone, the kids world smashes the adult's universe!Night watchman, IT engineer, daddy's office, mechanic,... Brigitte Lecordier, comedian and famous voice of French dubbing (especially in animation) over the past decades, takes a child's voice who might be either a boy or a girl, and calls at random people to solve small issues: "I lost my marble in the bath, I call... the sewer service! ", "I can't fall asleep, I need a story telling, I call... the night watchman! ", "I don't like the car's steering wheel, I call... the mechanic!" As many situations in which people and professionals answer the kid with kindness and patience, without knowing it is a joke!